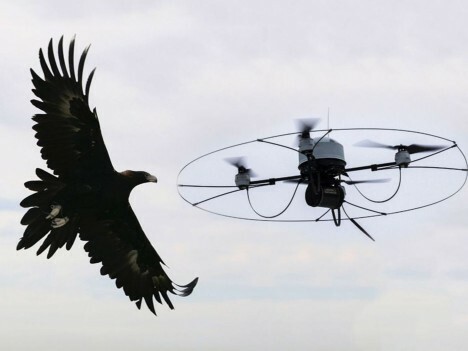 To combat the rise of drone-enabled crime, London’s Metropolitan Police force is considering using trained eagles to grab drones, a practice already in play thanks to Dutch company Guard from Above. Tests in the Netherlands have demonstrated the efficacy of this approach, which could be employed to stop criminals using drones to infiltrate prisons and intercept airplanes. The risks are many: there are already cases of drones being used to smuggle contraband or means of escape assistance into well-fortified prison complexes. Officials are also worried that drones could be deployed to attack aircraft, intentionally or accidentally (a series of near-misses is already on record). 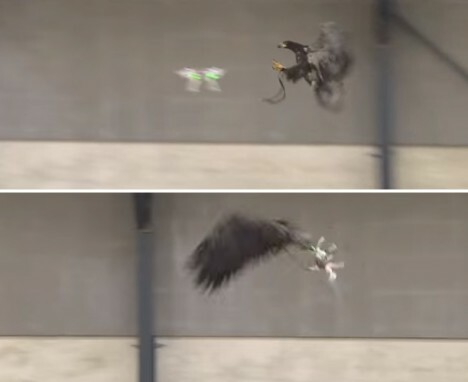 Of course, there are problems with this approach: grabbing a drone means risks to the eagle, who may face various configurations and numbers of blades. They will need special training to avoid the most dangerous parts of a given drone. Still, as the video demonstrates, it can be done. Whether this will remain a gimmick or really take off remains to be seen.